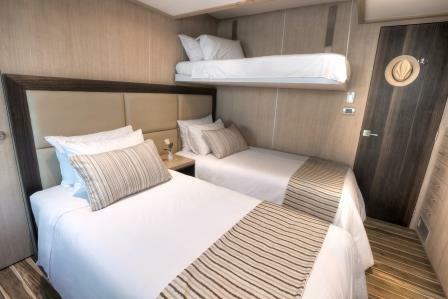 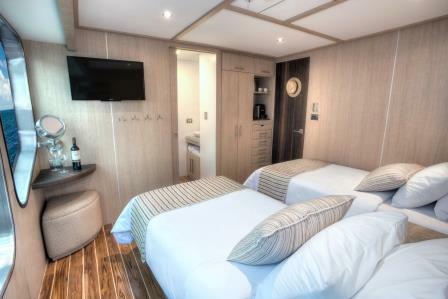 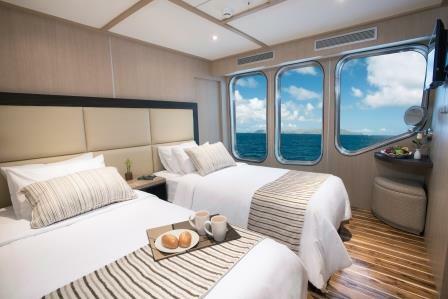 Ten roomy staterooms with panoramic views, comfy beds and private bathrooms are configured as singles, doubles or triples. 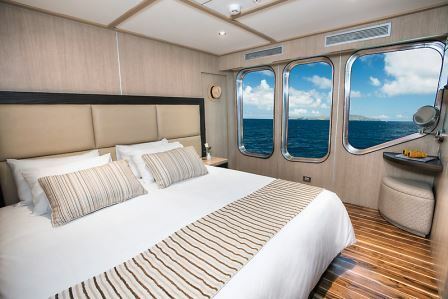 Guests enjoy gourmet cuisine, large sundecks, outdoor bar, Jacuzzi, library, gym and gift shop, everything you could want for the most relaxing of Galapagos Islands tours. 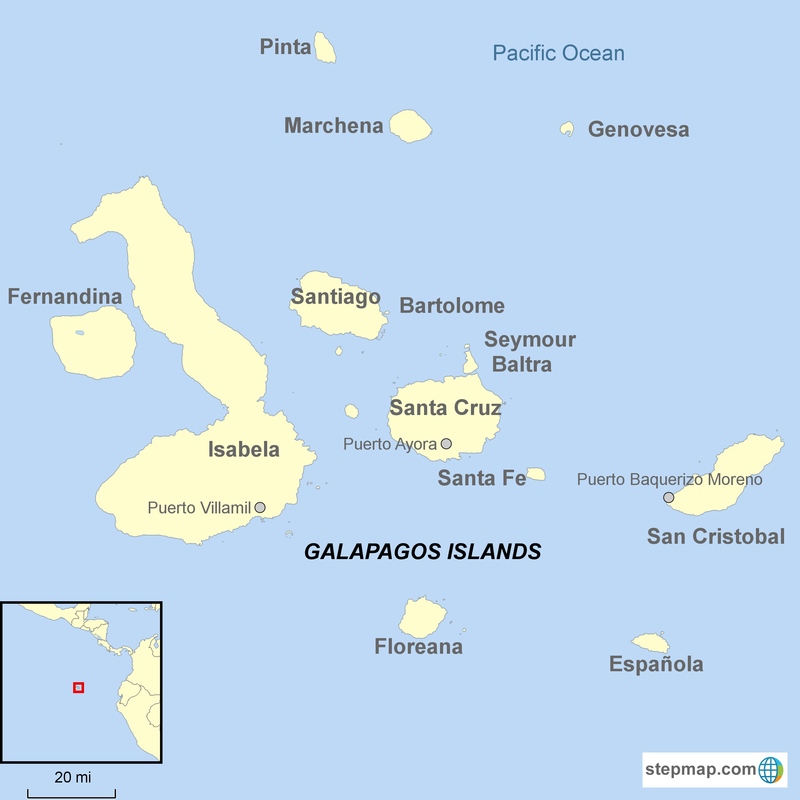 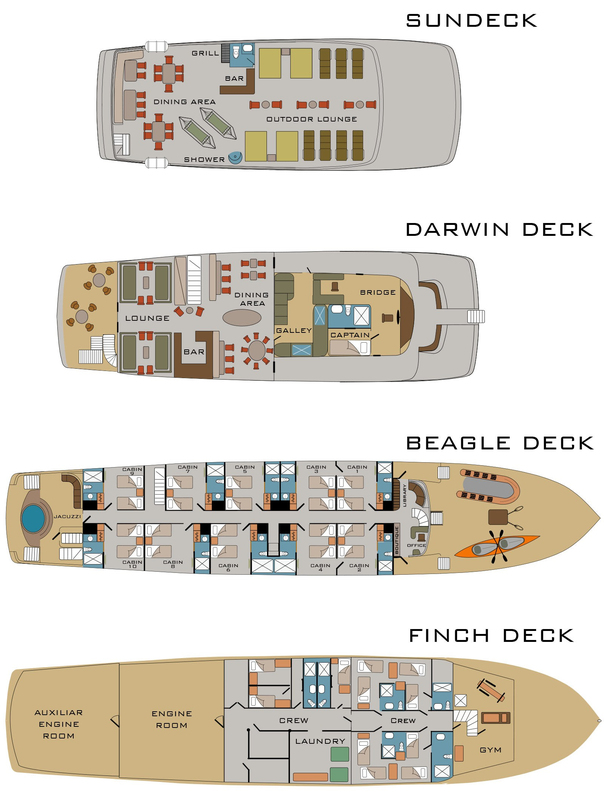 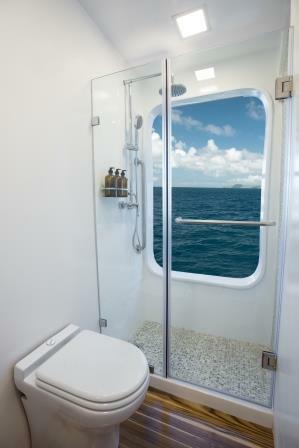 The Origin has many amenities for a Galapagos vessel this size.